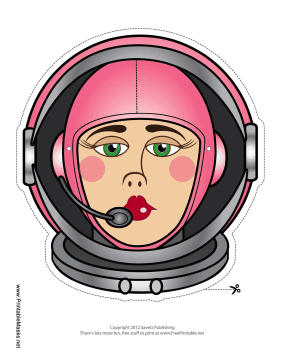 This pink female astronaut mask shows that you can have style even in the blackness of outer space. With bright red lips, blush, and long eyelashes, this mask is sure to be a hit with all the girls who dream of traveling to the stars. This mask is free to download and print.